The 9 Best Places for Bubble Tea in South Carolina! If you’re in the mood for a sweet unique treat, bubble tea is your answer. This trendy, creamy tea-based drink looks just as good as it tastes, having gotten its name from the frothy bubbles that rise to the surface. 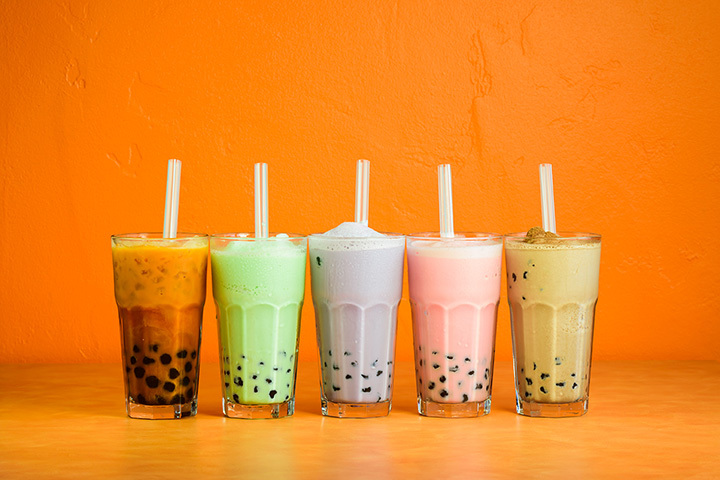 Whether you love the fruity taste or just can’t get enough of the little tapioca balls, you’ll want to try all the flavors at these best places for bubble tea in South Carolina. This whimsical tea room tucked into Greenville’s downtown is the perfect blend of sophistication, fun, and relaxation. They specialize in all things tea but their bubble tea has made them famous, attracting visitors from miles away to come in and grab a taste. Their selection of bubble tea isn’t extensive, but what they lack in variety they more than make up for in quality. If you’re looking for a refreshing, health-focused place to grab a quick snack, Yoghut will be your go-to source. They offer an all-star lineup of acai bowls, smoothies, fro-yo, and bubble teas to satisfy your cravings and prove that sweet can also be healthy. Their fans (especially college students) love the bubble tea here because it’s uniquely satisfying, plus regulars can score free treats via their rewards program. Offering two of the best sweets to ever cross the Pacific, Sweet Ice is a unique dessert experience you won’t find anywhere else on the Grand Strand. They’ve combined hand-rolled ice cream with delicious bubble tea to craft a sweet menu that makes it hard to choose just one. Their expertly-made bubble teas look almost too good to drink, but you’ll be glad you took the plunge. Hard work and plenty of taste testing led to the creation of Tapio, and the Holy City has rejoiced. Drink your fill out of their iconic clear cups that give you the best views of these delicious concoctions, along with fat straws so you can taste the tea and the bobas all at the same time. Milk-based tea, frozen teas, organic teas, caffeine-free varieties—there’s no end to the flavors here, and you’ll want to try them all. Nowhere else in the Lowcountry can you sit down with a refreshing cup of bubble tea while you munch on a light lunch and listen to local music artists croon their favorite tunes. It’s part coffee shop, part tea house, part music venue, and 100 percent worth a visit. Their amazing staff only makes the experience better. This cozy little tea palace is equal parts charming, rustic, unique, and downright enjoyable. Offering a diverse selection of tea, their bubble tea is hands down the local’s choice because of its variety, taste, and rarity in the area. Their hospitality is on point, which keeps their fans coming back. This little tea bar has everything going for it: a delicious food menu, downtown locale, and a seemingly infinite selection of smoothies, juices, and bubble tea! Choose your base of milk or juice, then add your flavors (there’s a huge list of fruits and other favorites), and don’t forget to ask for the tapioca pearls or jellies that make every cup a visual delight. Pronounced po-KAY, this raw fish dish is a Hawaiian cuisine favorite, and it pairs perfectly with a cup of bubble tea. Even though their food is among some of the best in the city, their fans have been known to come just for the tea. You won’t find a combination quite like it anywhere else. Low key and food-focused, this place will leave your taste buds wanting for nothing. Bubble tea lovers come here to fill their cravings because of their low prices and fast service. You can rest assured they know how to make it right, and it’s every bit as tasty as what you’d get in Taiwan.